The children’s books of Theodor Seuss Geisel (better known as “Dr. Seuss”) are divided between the didactic and the anarchic. Didactic books, often with a solidly liberal agenda, predominate. These include The Lorax (a warning against environmental destruction), The Sneetches (a satire of mindless consumerism and status-seeking), and The Butter Battle Book (a Cold War cautionary tale). Some of Dr. Seuss’ most famous books combine the didactic and the anarchic. The Cat in the Hat is one of the great agents of anarchy in children’s literature, his inspired chaos opposed by Sally and her brother, and finally contained only by the re-appearance of their mother. Dr. Seuss’ teaching books show the same dynamic. 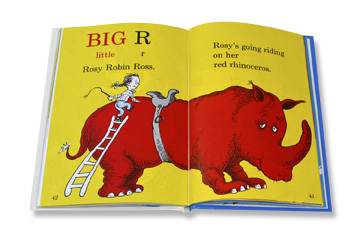 For example, Dr. Seuss’s ABC makes learning the alphabet fun through a wild collection of assonance- and alliteration-heavy nonsense rhymes (and one highly inappropriate image for children). ‘The A is for Ape. And B is for Bear. ‘The M is for Mouse. And the R is for Rat. ‘So now I know everything anyone knows. ‘From beginning to end. From the start to the close. And with this, On Beyond Zebra is off to the races, devising fantastical creatures in fantastical lands based on fantastical letters. Along the way, On Beyond Zebra argues for the supremacy, the freedom, the possibilities, the joy, and the exuberance of the world of imagination over the world of knowledge and fact. The anarchic soundly trounces the didactic, for once. And yet, at the end, somehow the didactic gets the last word. Oh well, if Dr. Seuss had to deliver a lesson, at least it was, “Don’t be afraid of curiosity. Don’t be afraid of the new. The world is always bigger than you think!” Those are good points. I’m writing them down. Will they be on the test? While doing research for a future review of On Beyond Zebra, I made this delightful discovery: Theodor Seuss Geisel (better known as “Dr. 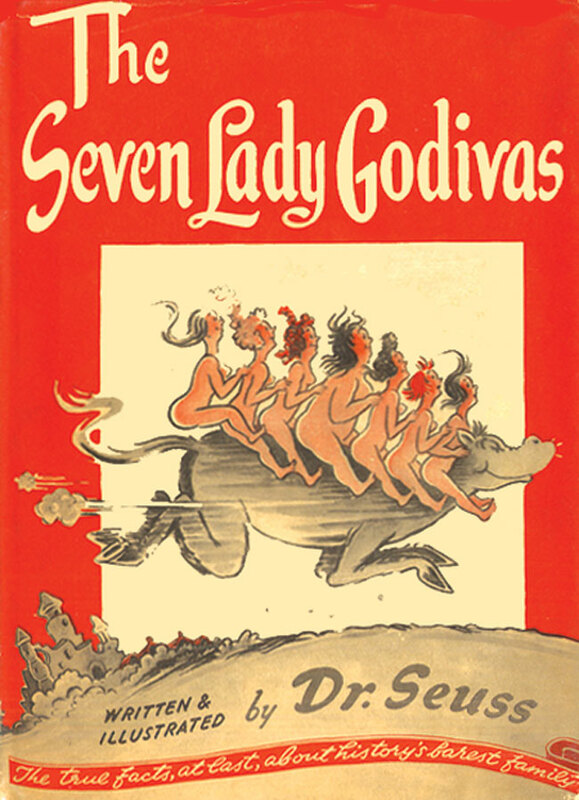 Seuss”) wrote and Bennett Cerf of Random House published The Seven Lady Godivas: The True Facts Concerning History’s Barest Family — a nudie novelty book aimed at adults. Jack St. Rebor at Seussblog has done a good job describing the book, so I recommend you click the link and read the post. Maria Popova of The Atlantic posted a nice collection of illustrations. My favorite Lady Godiva is “Dorcas”. You may not want to know that. I love Dr. Seuss’s ABC and read it to my kids all the time. But after several years, I realized I had to skip “Letter R”. It all seemed innocuous at first. Rosy Robin Ross’ jodhpurs and riding crop. a nice fellow, but nothing special.